Did you know that Circuit Zolder has 20,000 parking spaces? Safety and convenience insured! Did you know that Circuit Zolder equals an area of ​​70 hectares? Did you know that Circuit Zolder has spaces for rent between 50m² & 500m²? Circuit Zolder is the place in Heusden-Zolder where adrenaline takes over. The domain offers more than just the phenomenal race course. 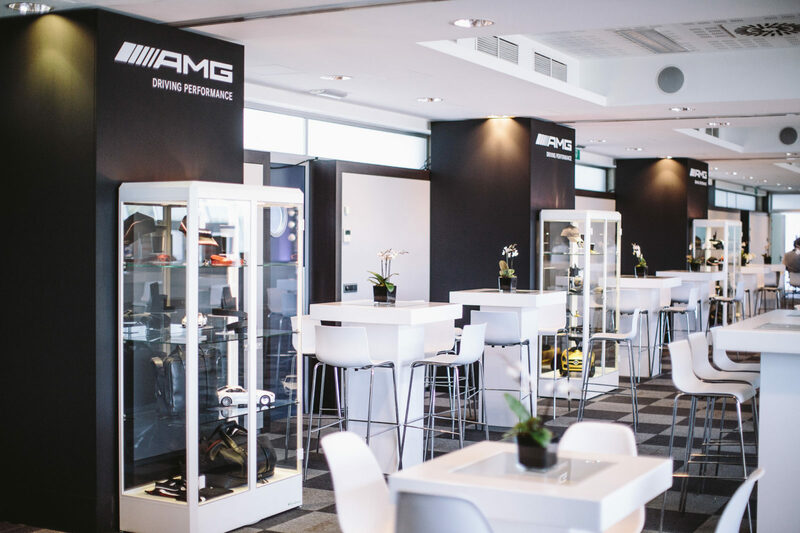 Business meetings, presentations, product launches, staff parties, new year’s receptions, … For every occasion there is an extraordinary location around Circuit Zolder. Thanks to different locations, with their own individual character, up to 1,500 people can be welcomed. In addition, the venues have the latest meeting and event technologies. Centrally located in the paddock, the VIP Martini Racing Club is ideal for events up to 200 people. In true Martini style, you can organize atmospheric and class events with stunning views of the start and finish of the circuit from the terrace. The Congress Center consists of 5 modular rooms. The total capacity is – in combination with the Expo Hall between 500 and 1,500 people. The biggest capacity so far! Perfectly located under the Congress Center, is the Expo Hall Circuit Zolder. This multifunctional location, a zone of 8 pitboxes, is the ideal solution for presentation of new products. The Congress Center also offers views of one of the most famous bends, while the Expo Hall offers access to the paddock, pitlane and the circuit itself. The Cycling Center then provides a terrace with breathtaking views of a world-class BMX track, capacity up to 150 people. Complete your MICE activity with a unique activity on the circuit: evening bikes, course drift, course karting, session (ride) with a racing car or course driving skills.